Pizza, Policy, and International Affairs, are a series of town halls featuring current and former executives in government, higher education, military, nonprofit and private sector. These town halls are an informal conversation on topics in global affairs, global security, the challenges facing education, media, energy, infrastructure, and the future of civil discourse. 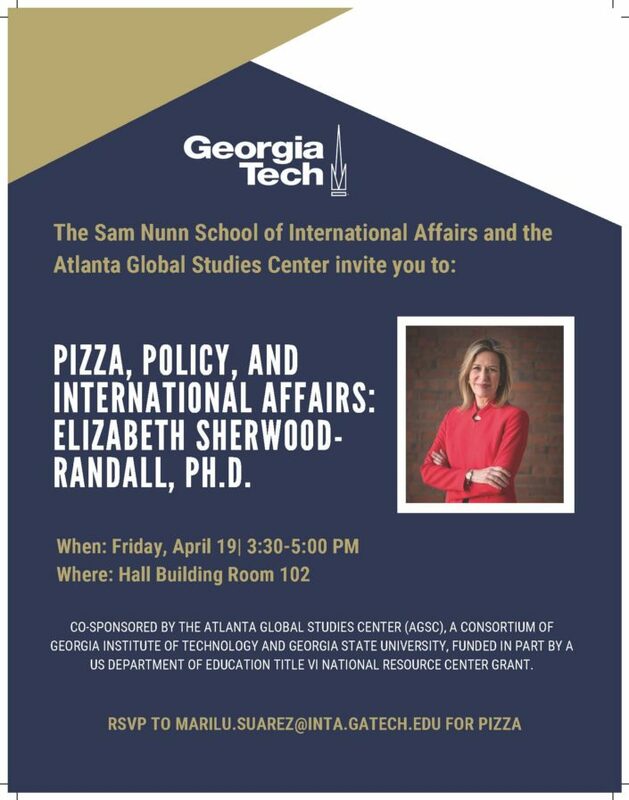 Learn more about the Spring 2019 Pizza, Policy & International Affairs Events at: https://intaadvising.gatech.edu/career/pizza-policy-international-affairs-town-halls-spring-2019/. April 12, 2019 Stephanie Jackson Comments Off on Public Policy Programs! April 8, 2019 Stephanie Jackson Comments Off on Final Lunch and Learn with Gartner Inc. 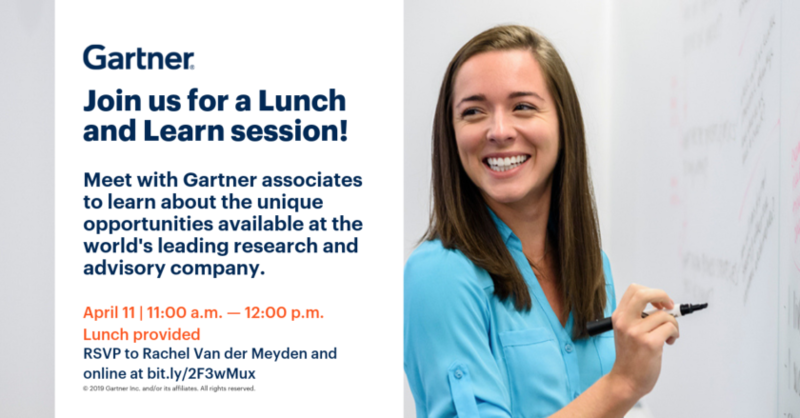 Final Lunch and Learn with Gartner Inc.